Yes, that's right. During my research on this topic, the Wii's main screen was the first mainstream use of a "live tile." The Forecast, News, Nintendo, and Everyone Votes channels all are not only animated, but pulled data though WiiConnect24, giving updates about, say, the current temperature or headlines. If your Wii is not stored away in a closet and is connected to WiFi, why don't you check it out....OR NOT. Just 11 days ago Nintendo officially turned off WiiConnect24's services...meaning that the majority of the "live channels" don't work anymore. So I hope you enjoyed the easy-to-see updates while they were available. So could you say that Microsoft totally ripped off the live tile idea from Nintendo? Sure...but wait, there's more! 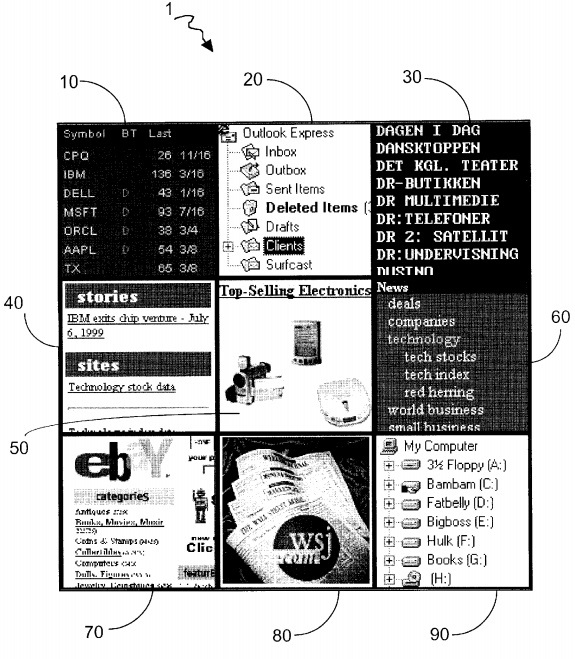 It turns out that way back in 2004 (another two year gap...hmm), the tiny, unheard-of company SurfCast was granted a US patent for a "System and method for simultaneous display of multiple information sources." Looking through the patent listing, you will see images (like the one above) that resemble Live Tiles. Whether or not you believe in the validity of software patents, this European "invention" (along with three other software patents) was used by SurfCast in a lawsuit against Microsoft's own Live Tiles. 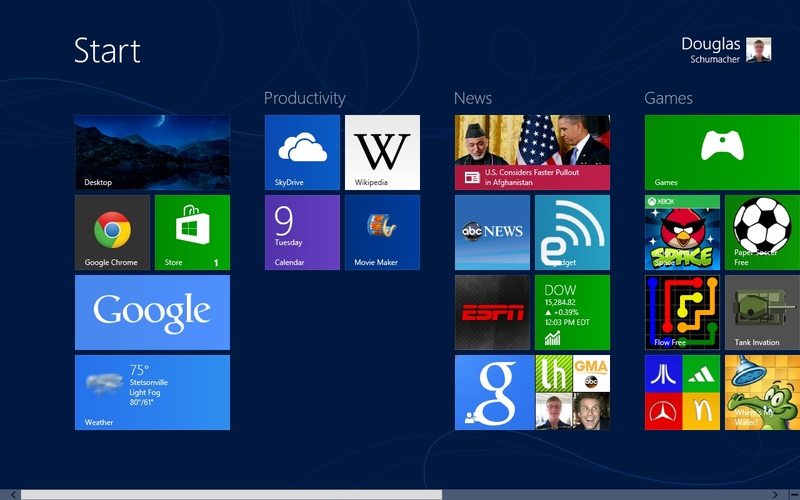 So as some find Live Tiles a nuisance, they have been an idea built upon by many companies over the last decade. I think it is safe to say that Microsoft's very front and center Live Tile feature is one that will continue to be refined into the future. Note: Today's post on the history of Live Tiles was inspired by both the recent shutdown of WiiConnect24 and the news of Microsoft's testing of Windows 8.1. Operation Storm Announcement: No livestreaming gaming tomorrow, but there will be a unique gaming video uploaded. Watch for that over on my YouTube channel. See you there!